The price of Bitcoin and other major cryptocurrencies crashed in the last 72 hours, giving experts pause and investors reason to fret. Bitcoin fell to $5,050 on Nov. 21, 2018 and lost almost 19% of its $110 billion market share since two weeks ago. The primary cause for the dive remains unclear. However, confidence is certainly flagging amidst the renewed market volatility. There have been a deluge of recent warnings about the future of cryptocurrency. Many experts believe the slowdown to be the result of the Bitcoin fork, which created Bitcoin Cash and led to another, smaller cryptocurrency split two week ago. Born from the hard split were Bitcoin ABC and Bitcoin SV, as Bitcoin developers were unable to agree about the future of the cryptocurrency. Brian Kelly, the founder of BKCM, confirmed that the hard fork was the reason for the slump. Offering a more perennial explanation, the CEO of Ark Invest said that many investors are simply selling Bitcoin to avoid capital gains tax. Since the IRS classifies cryptocurrencies as property and not currency, which can be as high as 39%, first-time investors are now facing taxes on profits made in 2017. The market is preparing for the upcoming launch of Bakkt, a groundbreaking global ecosystem for regulated digital assets. This launch is likely a major factor in the slump of cryptocurrency prices. The company plans to offer Bakkt Bitcoin Daily Futures (USD), the first cryptocurrency that links to the Intercontinental Exchange (ICE). ICE owns and operates the New York Stock Exchange. Coupled along with this announcement, companies like Microsoft and Starbucks are now collaborating on a platform that would enable customers and institutions to exchange digital assets around the world. The creation of Bakkt spurred large players to make a buy-in before market prices rise. This further lowered the price of Bitcoin. Bakkt will be the first cryptocurrency to enjoy the institutional credibility that cryptocurrency experts sought. According to KPMG, cryptocurrencies need “institutionalization” – or the participation of banks, fintech companies, payment institution, exchanges, and other industry entities. Hence, Bakkt is seen as a bold first step toward institutional investment and the creation of a global digital asset network. The bull run to follow will likely multiply the current market capitalization by 10 times, said Joey Krug, Co-CIO at Pantera Capital. Experts expect the price of Bitcoin to increase, following the launch of Bakkt’s Bitcoin Futures on January 24, 2019. Are You Ready for Crypto Winter? Given the upcoming bull run and tax season, a crypto-backed loan is an ideal way to get immediate cash. YouHodler, a crypto-backed loan service, is offering an “Anti-Crisis” loan for 60 days. With the loan, you can survive the Crypto Winter slump and benefit when prices of cryptocurrency begin to rise again. Crypto-backed loans allow you gain hard capital now while minimizing your losses on the crypto market. 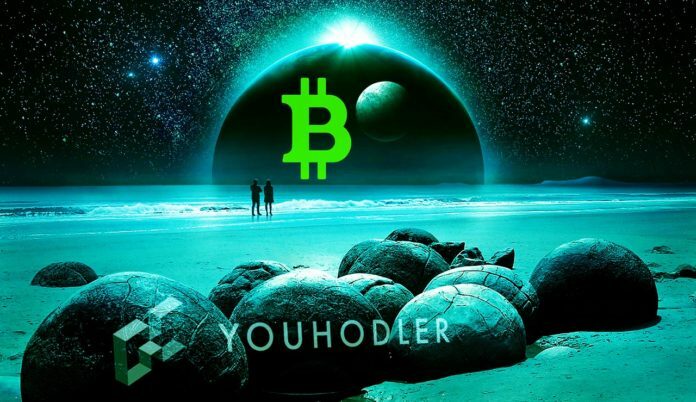 YouHolder is a leading crypto-backed loan provider. Their platform is well-known for its high loan-to-value ratio and for accepting a high number of cryptocurrencies as collateral. You need not wait to try out the transparent interface. You can try to apply today for an instant loan.